Disclosure: I received product + a gift card as compensation. All opinions expressed are 100% my own. 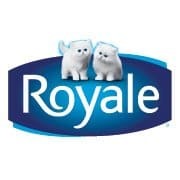 Next time you are out shopping make sure to check out the facial tissue aisle for the 2013 ROYALE Inspire Us Collection. These boxes of facial tissue feature breathtaking photography by Canadians who won the ROYALE Inspire Us Photo Challenge! 9,100 Canadians entered this contest and the top photos were selected by the Moment with Royale community via an online vote. Each winner received $1,500 cash and the honour of having their photograph showcased on millions of boxes of facial tissue across the country. What an amazing accomplishment! The cash prize is awesome, but I think having a photo on a product that millions of us use daily is quite an accomplishment. Congrats to the winners! Photography is one of my hobbies and I’ve been slowly learning and teaching myself how to take better pictures. I’ve got a long way to go, but I’ve definitely improved a lot since I first started. The winners of the ROYALE Inspire Us Photo Challenge have shared some of their photography tips that I wanted to pass along to you. Mike from Saanichton, BC ~ Orchids to Delight You: Take lots of photos, but only keep and showcase your very best. Donald from Kamloops, BC ~ Fiery Dawn: Capture what you love in your heart and your style will follow. Anton from Victoria, BC ~ Mysterious Blue Poppy: For close-up shots always hold the camera steady or use a tripod to avoid blurred photos. Cindy from Bobcaygeon, ON ~ Rose is a Rose is a Rose: Always take lots of photos as you may get five or 10 great shots out of 100. James from Toronto, ON ~ Sunset Over the Lake: Get to know your camera and always carry it with you as you never know when a great shot is possible. Jessica from Fort McMurray, AB ~ La Vie en Bleu: Learning how to express emotion through your photography and using angles in interesting ways will bring more depth to your photography. Véronique from Saint-Jean-Chrysostome, QC ~ Tout Petit: Always carry your camera with you. Carmelle from Lanoraie, QC ~ Étoile de mer et Coeur: Nature has many beautiful and unexpected surprises in store so always keep you camera handy. After reading these tips, I realize I need to invest in a tripod. It’s always hard to take handheld pictures for close up shots and have them not be blurry. The ROYALE Inspire Us Collection is only available until October so pick up some boxes while they are still in stores! I like this tip~ Always take lots of photos as you may get five or 10 great shots out of 100. I like this tip: Learning how to express emotion through your photography and using angles in interesting ways will bring more depth to your photography. My fave is: Take lots of photos, but only keep and showcase your very best. This is good to remember because i often ending keeping most photos – even if they aren’t so great or are basically duplicates. wastes storage space and makes it harder to find the ones you really want. My favourite would be “Carmelle from Lanoraie, QC ~ Étoile de mer et Coeur: Nature has many beautiful and unexpected surprises in store so always keep you camera handy.” I love, love exploring nature and there is always something going on. In the past I always regret not having my camera there to capture unique and gorgeous moments. Get to know your camera and always carry it with you as you never know when a great shot is possible. Always take lots of photos as you may get five or 10 great shots out of 100. Always bring your camera with you as unexpected opportunities for a great photo may come. I like this tip: take lots of photos but only keep the best. The capture what in your heart from Donald. My friend says she has a magic camera, it never takes a bad pic, and we have seen some great ones from it- I think her big heart and generous spirit comes through and that is why they are all so good! This is gospel right here!! Carmelle from Lanoraie, QC ~ Étoile de mer et Coeur: Nature has many beautiful and unexpected surprises in store so always keep you camera handy. My favorite was to always carry your camera with you. This is something that I do not usually do, but I always regret it later when some situation comes up that I didn’t capture. Thanks for the tips. Take lots of photos, but only keep and showcase your very best. My favourite photo tip is: Donald from Kamloops, BC ~ Fiery Dawn: Capture what you love in your heart and your style will follow. My favourite tip was Always carry your camera with you. You never know when you are going to find the perfect picture! Learning how to express emotion through your photography and using angles in interesting ways will bring more depth to your photography. My favorite tip is ” Always take lots of photos as you may get five or 10 great shots out of 100.” I just had this happen as I was trying to great shot of a sunset the other night. I took about 30 shots of the same sunset but only 1 really captured the colors we were experiencing. I was happy that I had taken so many shots. Always take lots of photos as you may get five or 10 great shots out of 100. I see this as totally true. I always take as many shots as possible to get the best pictures possible. I love Veronique tip to always carry your camera with you. You never know when you want to record a moment for posterity! Take lots of photos, but only keep and showcase your very best. I need to remember both of these things. : take lots of pictures; only keep the best. I like this tip Cindy from Bobcaygeon, ON ~ Rose is a Rose is a Rose: Always take lots of photos as you may get five or 10 great shots out of 100. Nature has many beautiful and unexpected surprises in store so always keep you camera handy. I like the always take your camera with you idea. I’ve missed some great shots for lack of an available camera. A tripod for macro shots is a great idea! Take a lot of pictures and save only a special few. My cupboard is stuffed with awful pictures! To always carry your camera with you. My favourite tip that you shared is to always carry your camera with you. You never know when you will run into a camera-worthy situation and it is better to have it with you than to not have it and wish you had. Some moments just can’t be recreated … that’s why we have cameras to capture them!